This boy will make you question what you do with your time and resources. 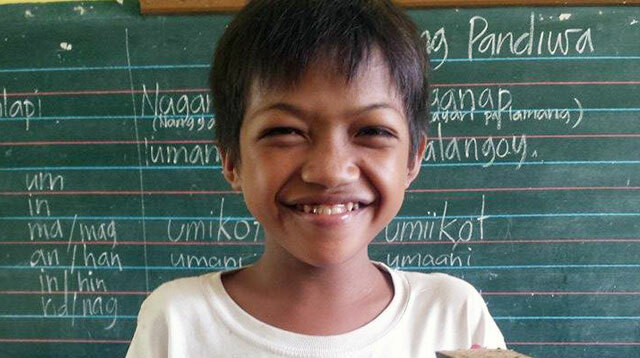 Here’s your dose of inspiration for the day: Jupel Bato Bato, an 11-year-old Mangyan boy from Baco, Oriental Mindoro who makes and sells toy vehicles from broken rubber slippers. That’s impressive enough on its own, for a disadvantaged kid to be able to hone his imagination, workmanship, and entrepreneurial spirit at such a young age. But get this: Jupel sells his works to raise money not just for himself, but for the construction of his school’s comfort room. Indigenous PH, a non-profit organization that aims to promote and preserve the culture of the country’s native tribes, shared Jupel’s story and pictures of his handiworks on its Facebook page on October 9. The group revealed that Jupel, a fifth grade student at Casillon Elementary School, lives in a poor community in mountainous Mindoro where there is no electricity. To get to school every day, he has to walk at least 20 minutes from his home, most of the time barefoot. This is because the tough trek would take a toll on any pair of slippers he would own, which would only last for a month or less and which his family did not have enough money to keep replacing. But Jupel would not just let these broken slippers go to waste. Instead, he would use broken slippers he found to craft toy jeepneys and tricycles, cutting them up and securing parts in place with sticks instead of adhesive. He would even add detail to his works by incorporating found objects, such as a flashlight serving as a head lamp. With these works, he hopes to earn money to help raise funds for his school’s comfort room. Jupel was recently featured in an episode of ABS-CBN’s Rated K, in which he revealed, “Ang pangarap ko sa buhay sana may masakyang jeep at tricycle.” This boy, who has to walk barefoot on tough terrain most days, has a simple dream—not even to own a car, but just to experience riding a jeepney or a tricycle—and he used this dream to fuel his art and help his community. Jupel’s works were also earlier featured on TopGear.com.ph. And what do you know, he later made a toy jeepney bearing the words “Top Gear” on the panel board! If you wish to aid Jupel in his mission of helping his school out, you may visit Indigenous PH on Facebook or contact Jeru Cajapin at (0916) 627-3533. Makes you want to get out of your cushy workspaces and air-conditioned bedrooms and just do something, doesn’t it?